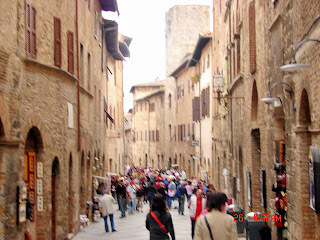 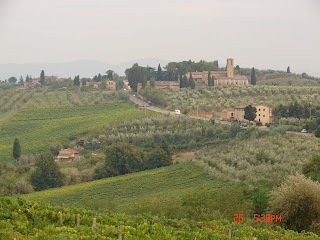 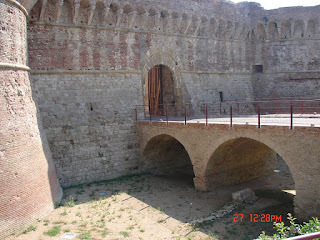 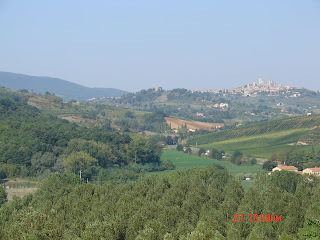 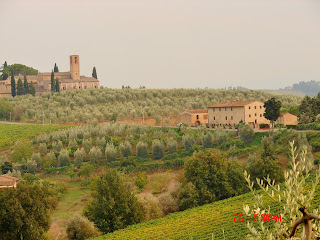 I caught the train from Riomaggiore to Siena and then caught a bus to San Gimignano for the 2 day walk through Tuscany. 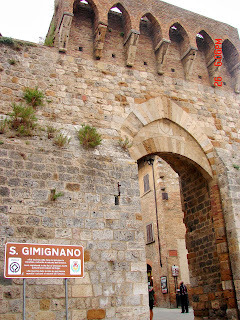 San Gimignanno has 14 medieval towers dating back to the 12th century. 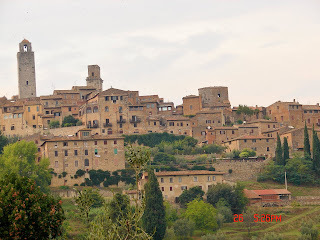 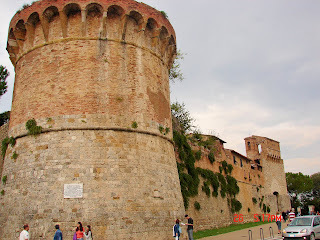 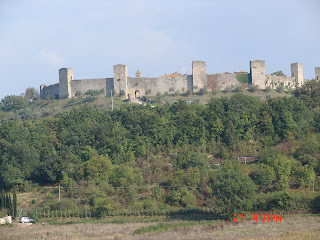 At one time there were 70 towers.No one seemed to know a walking route so the next morning I started walking along the highway on my way through the beautiful Tuscan landscape. 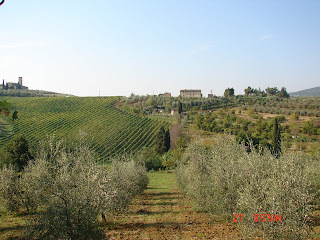 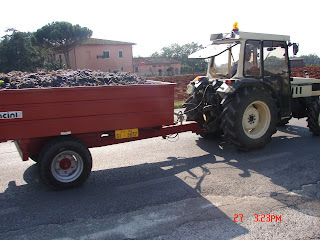 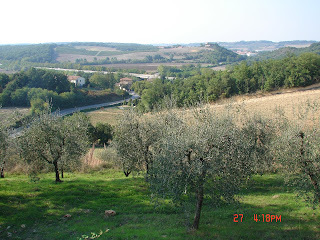 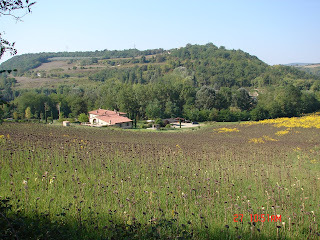 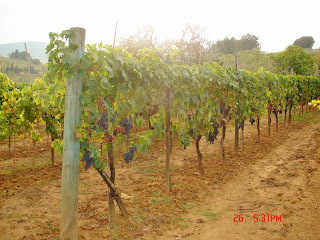 Beautiful rolling hills, grape vines and olive trees decorate the countryside. 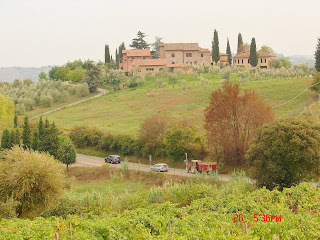 I finished the 19 kilometer walk in one day rather than two.